Fun to wear & comfortable. This marvelous CzechMate SuperDuo and Swarovski Bicone bracelet is simple but elegant. 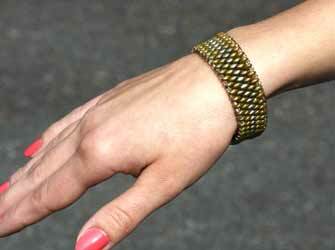 This bracelet has an appealing snake skin like pattern, is very comfortable and fun to wear! You will be able to make it quickly and inexpensively. 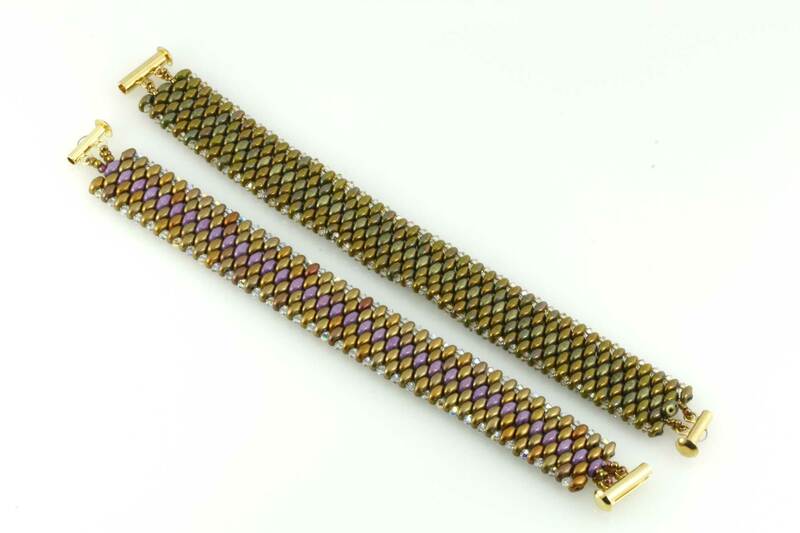 On a comfortable length of Fireline, with a needle on each end, string one color A superduo on both needles, then on each needle string on three seed beads, go up into the rings of the clasp. Pull tight making sure you center your beads in the middle of the thread. 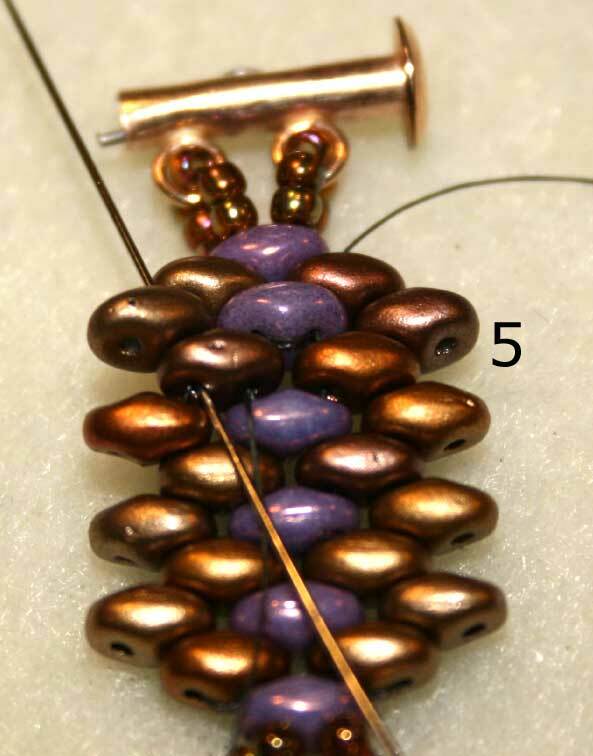 Add three more seed beads and go back into the superduo, again making sure to pull tight. Re-enforce the clasp by following the thread path at least one more time. Two if you can. Then with both needles exit out bottom of the superduo away from the clasp. 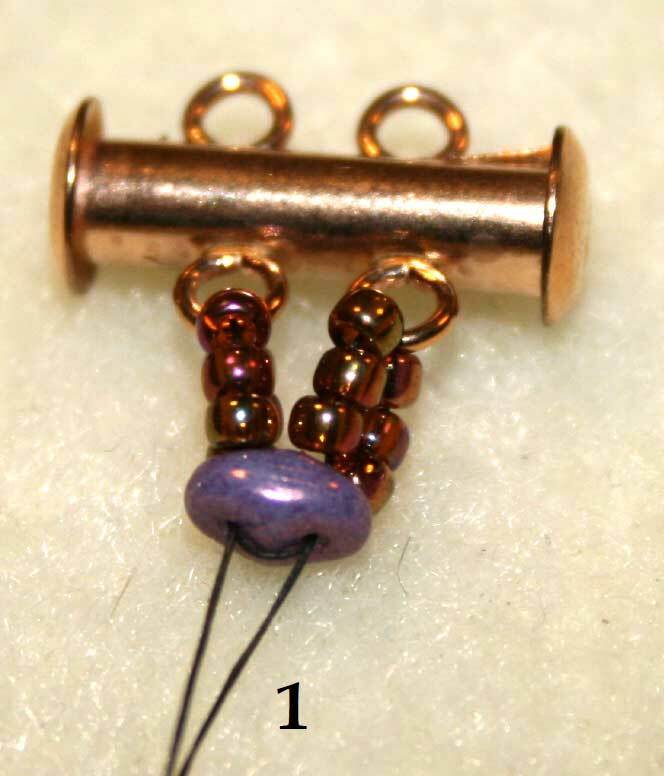 After exiting the color A superduo, add one color B superduo on each needle, then add one color A superduo on both needles, continue adding one color A and two color B’s until desired length is reached. Make sure to end with color B’s. 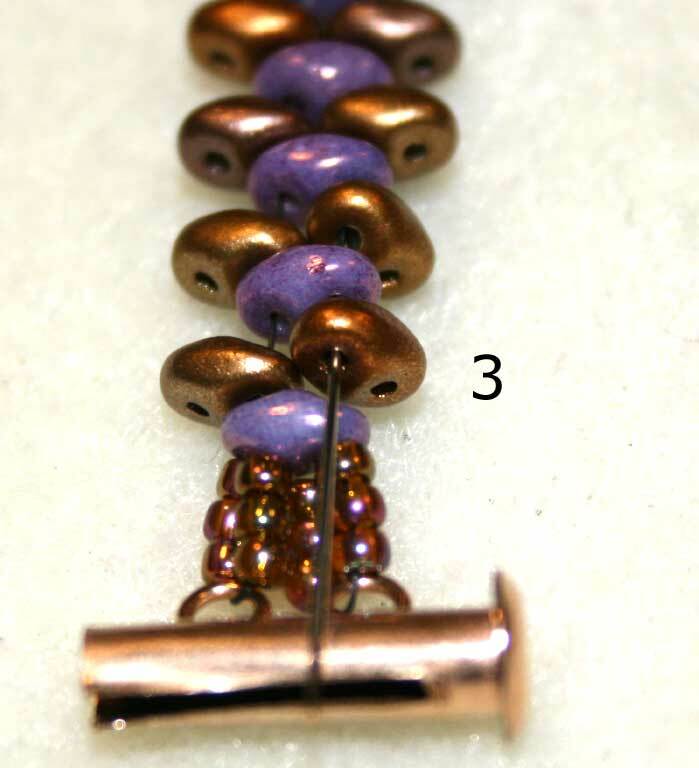 After reaching desired length, attach clasp to other end by repeating step one. 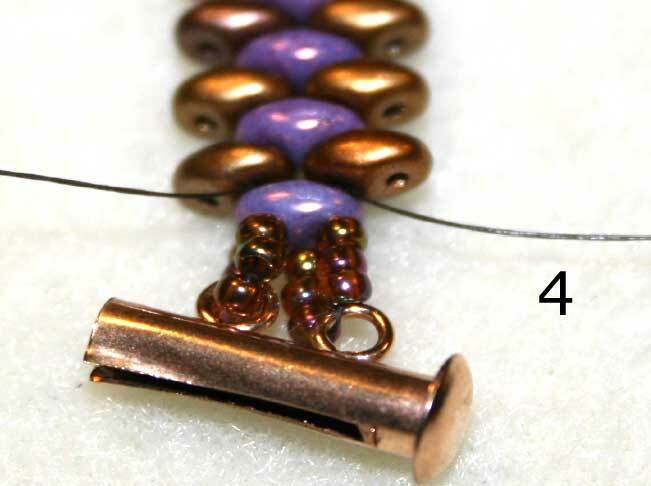 After reenforcing the clasp, continue down both thread paths until you reach the last two color B’s. Making sure to do the same to both sides. After adding the second row of color B’s to both sides work in a circle following existing thread paths to get your needles coming out of the first hole of the second row of color B’s. Go down into the second hole of the superduo and pick up a crystal and go into the next hole of the next superduo, continue for the length of the bracelet. Then you can either tie half hitch knots or just weave you tails in making sure to go in a cou-ple of complete circles. Trim excess thread and enjoy. Previous Post Why Swarovski Crystal? Next Post Swarovski Crystal Rivolis and Chatons – how are they different….. Absolutely love your patterns. Made the SyperDuo Spiral Bracelet and it is gorgeous. Thanks Amber. There will be more coming up. This bracelet is so much fun and wears great. It is very comfortable and looks $$$$$! Have fun! Check with us frequently. We are coming up with new great items. Hi Carol, sorry you having an issue with obtaining this free pattern. It is not a download, so just print the pages you see on your screen. Also if you have a second check our free projects (downloads) on our website. You will find them in Beading Resource. It looks so pretty. I like the pattern very much. Go for more nice bracelets. Love them. Hi Doreen, thank you. Please visit our website or register to our newsletter. We have tons of cool projects in the pipelines. Bead your heart out. I used Fireline, and it broke, spilling beads all over. Can I use beading wire instead when I remake it? what size wire is comparable? Hi Carol! So sorry about your experience using FireLine. 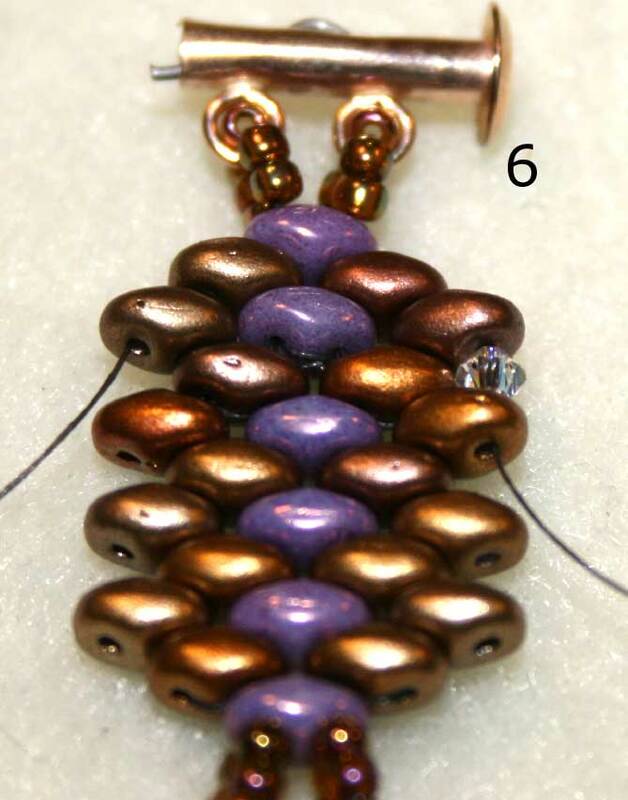 If you want to try the design with a beading wire you’ll want to try with “Soft Touch” (which is by Soft Flex) in the “Very Fine” diameter / .010 in. 7 strand. It’s very thin and would give you the closest “snake skin” feel to the Fireline. Below I’ve linked you to our website listing for all beading wire. At the bottom of the page you’ll see the “Soft Touch” listings (red label on the spools) – look for “VERY FINE” as the diameter and you’ll see that we can offer it to you in 10ft and 30ft spools, and in black, satin silver, and white – depending on which matches best with your beads and how much you want to purchase. 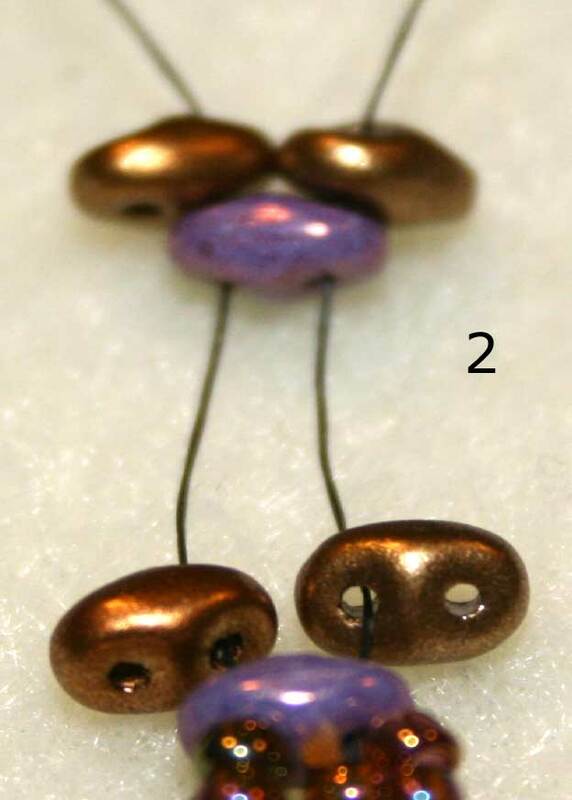 Also, see second link below to the smaller-than-average crimp beads (1.5mm) that will be needed for this wire and third link for a Micro Crimping tool if all you have is a standard Crimping tool (which is used with standard 2mm crimp beads).